Say goodbye to illegible scribbles and lost paperwork. Save time and reduce errors by collecting all your school district’s form data online. Create custom forms based on your existing school paperwork with our flexible form builder. Accurately capture data to avoid corrections and costly errors. Collect legally compliant and enforceable electronic signatures. Focus school district staff and teacher time by letting them fill out forms anytime, anywhere. Make sure everyone gets the memo. Eliminate bottlenecks and streamline your approval processes. Secure legally binding e-signatures and approvals to ensure compliance. Build custom approval routes to match your current workflows. 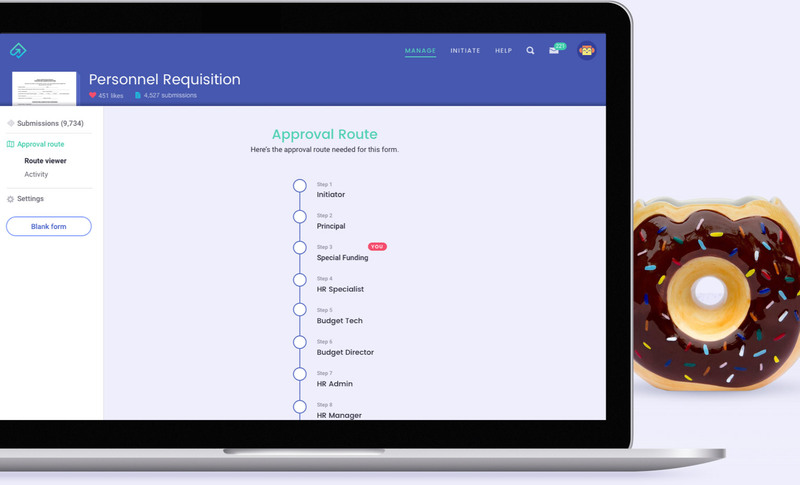 See where your forms are and reroute to speed up approvals. Stay informed anytime in the workflow with emails notifications. 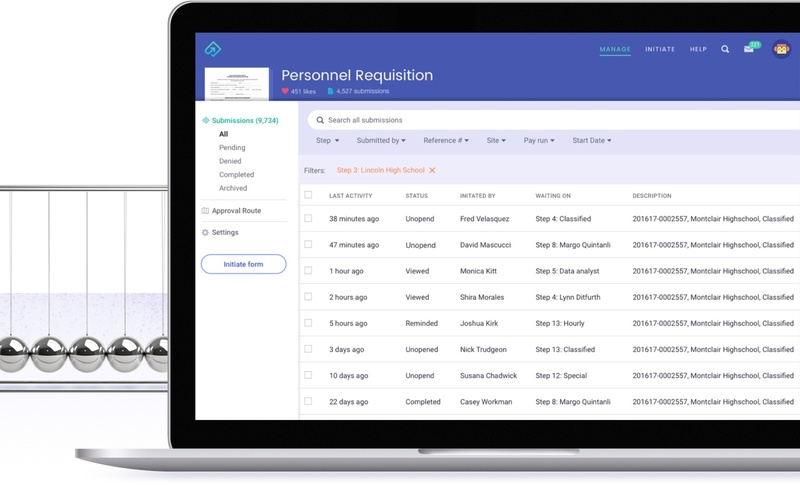 Communicate seamlessly across departments and school sites to boost productivity and accountability. Distribute documents safely and securely to staff, teachers and families. One place to manage your workflow across departments and school sites. Send emails to ensure timely completion or to request additional information. Set permissions based on different roles across the district. Unlock your form data. Easily access information to improve decision making across your school district. 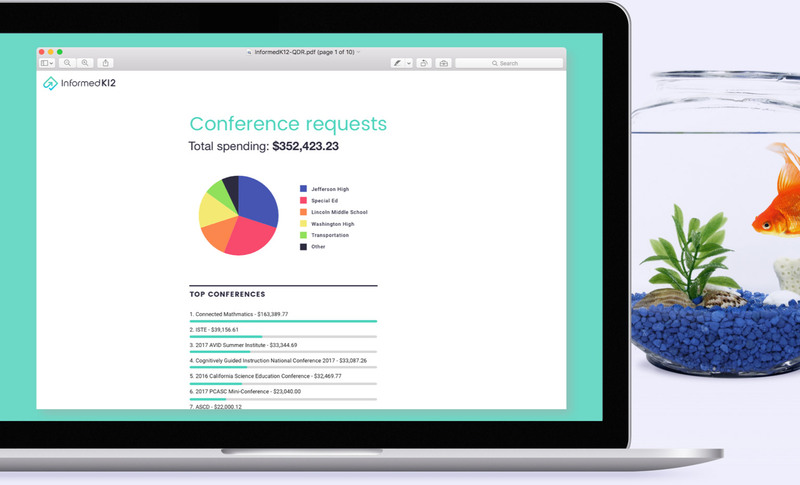 Quickly find the information you need by creating filtered reports or doing a quick search. Access and store your data easily and securely. Eliminate clutter by archiving inactive forms. 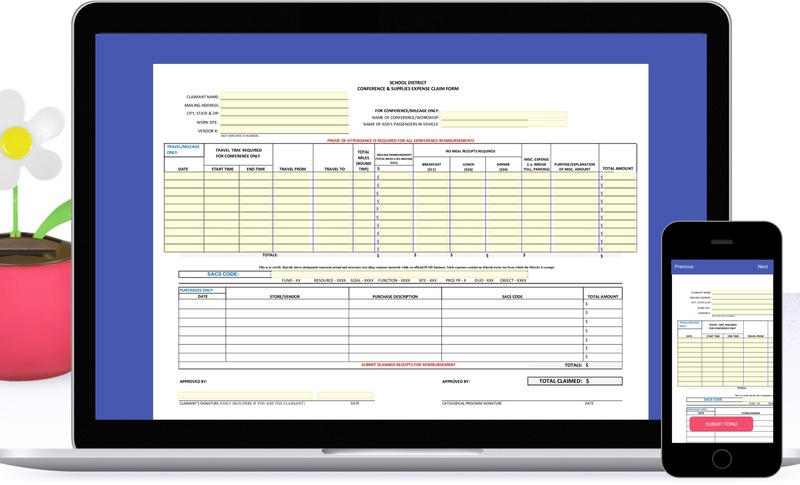 Download groups of completed forms for easy printing and filing. Export data and create custom reports to inform district decision making.